Feb-ibig is definitely in the air! Whether you’re going to spend it with your partner, family, friends, or just with yourself, Cherry Mobile makes sure it’s going to be a cherryfic Valentine for you this year. No matter your status in love, here are 10 ways and creative ideas to spice things up this February. Plan the best date ever. Turn your sappy romantic ideas into reality by planning the best date ever. You may opt to book a four-course meal in a fancy restaurant or join an adventurous hike at the mountains. Pamper your partner or yourself. Now’s the best time to spoil your partner or yourself to that ultimate spa session. Take a day off to relax and just enjoy the day with your loved ones. Pour out your love and admiration through mouthwatering and gooey cookies that will surely win the heart of your Valentine’s date. No date night is as comfortable as an enjoyable movie or TV marathon session. And what better ones to watch this month of live than those super kilig rom-com flicks. If you and your beau have the same appetite for sumptuous dishes, then a food crawl date it is. Quite loaded and busy to think of a creative date? Why not hitch a ride and just enjoy the road with your family or friends. Homebody? No problem! Busy yourself with a good book to read while munching on some sweets. You might be alone but that doesn’t mean you’re lonely. Go and spoil yourself this Valentine’s and go on a journey that will be healthy for you. Book a date with your mobile phone camera and dwell on the busy streets of the metro or relaxing vibes of the sea. Capture the cherryfic moments either with your loved ones or with yourself alone. Thinking of a best gift that will translate your lasting love? Give them a Cherry Mobile device. 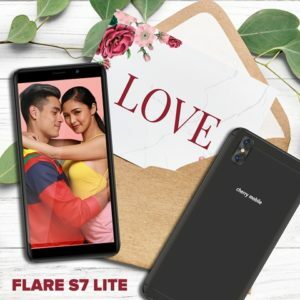 You can choose the Flare J1 Lite, a compact 5-inch smartphone, or the Flare S7 Lite, a reliable 5.5-inch device from the Flare S7 series. Both powered by Android Oreo (Go Edition); these two Cherry Mobile phones features an on-board storage of 8GB, expandable up to 32GB via microSD. 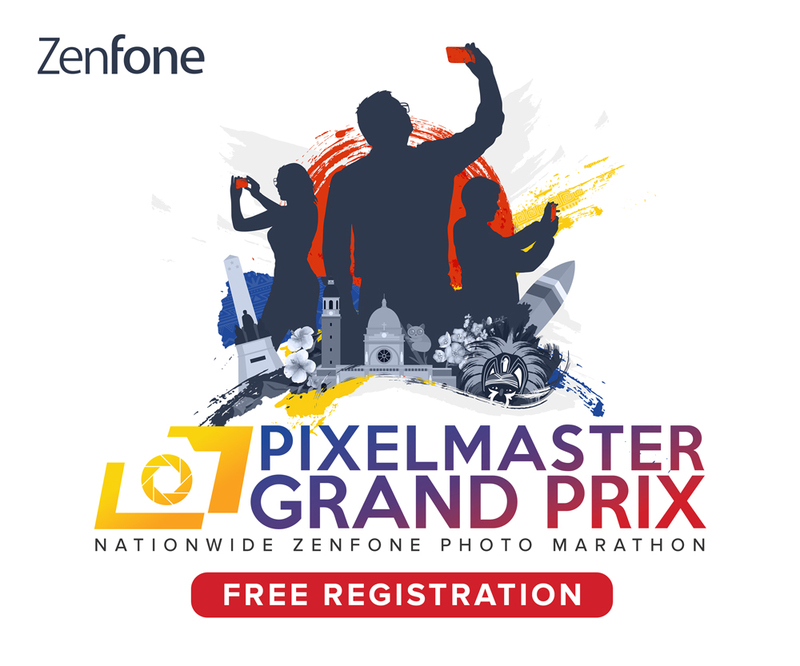 Take delight on capturing loving moments using the S7 Lite’s 8MP + 2MP dual front and 5MP rear cameras or with the J1 Lite’s 8MP rear and 2MP front shooters. 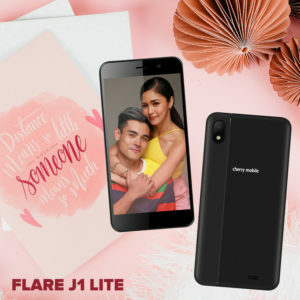 Available in different colors, the Flare J1 Lite and Flare S7 Lite are priced at P3,299 and P2,599, respectively. Whatever your preferred Valentine date, plan it best using your trusted mobile phone companion. Be sure to check out any Cherry Mobile concept stores and kiosks near you.